The development of computer technology never stops, research and tests conducted by experts hardware has led to a variety of increasingly sophisticated hardware, such as creating a monitor that gets thinner with a more perfect sharpness, creating a chip and processor are increasingly sophisticated, and so on. In addition, the programmers also do not want to miss that from time to time continue to do the development and assessment so as to produce new innovations in software. It was all done because of the demands of technological advances and the needs of modern humans to computers and programs on the computer can further simplify the job. Remote control software is one example of an increasingly sophisticated computer applications that can facilitate us in running the computers, networks, and internet without the need we are always close to the computer. Features that exist in the remote control software is Remote PC Access, Administration / Management, Video and Sound, Remote Surveillance, Communication, Performance, Security, Interfaces, and so on. Programs that have the slogan “Remote Control Software and Screen Sharing.” This can be run on Windows and Linux systems, and will soon be made to support Apple systems, IOS and Android. 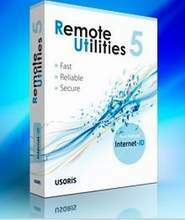 We can read detailed information about these remote control programs, systems and ways of working, then we can also download it for free on the site http://www.remoteutilities.com/.